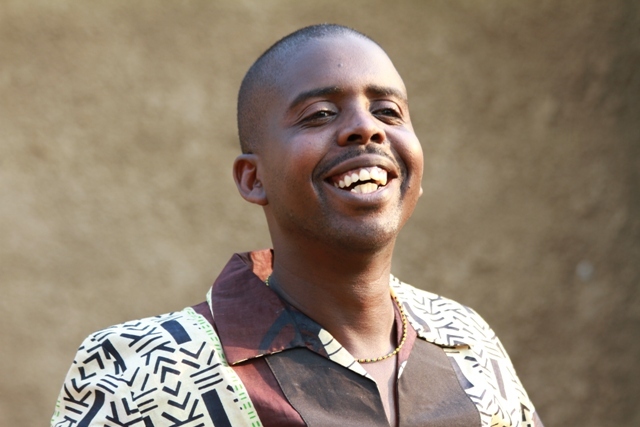 James Chamanyazi earned his stage name from his debut album Chamanyazi, which was released in 1994 while he was doing his secondary education at Kabulonga Boys Secondary School of Lusaka. His debut album became an instant hit on the Zambian music market, receiving massive airplays both on Television and Radio stations in the country, and had instant coverage on most of the print media. James Chamanyazi, as he is popularly known among his peers and funs across the country; he has been in the music industry since 1994, when he was a teenager. 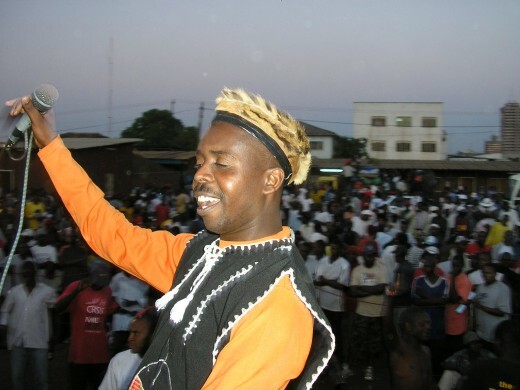 He is one of the pioneers of rejuvenating the Zambian music industry, which was at the verge of extinction at the time; and in the fore front of Zambian Arts administration, from a tender age under the tutelage of the late Webster Malama, where he served in many different portfolios in ZAM. He has managed and inspired a lot of fellow musicians/Artists both at home and abroad. He has managed to be constituently active since 1994 in the music industry and made it a very successful 20 years of his existence in the music industry. 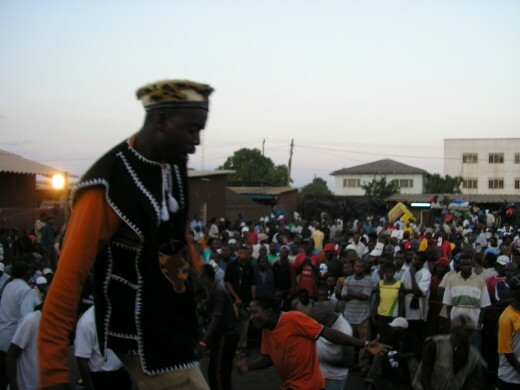 Since 1997, James Chamanyazi and other artists, while working under Muvi studios formed a band called the Muvi Posse Band whose sole aim was to bring back the popularity of Zambian music on the music scene (which was hugely dominated by foreign music). After its successes like winning the first KORA AWRD by a Zambian artist in 1999, also winning the M-net most talked about artist and several Ngoma awards then the Muvi studios management stopped sponsoring the band. The pulling out of Muvi Studios led to some of the top musicians leaving the band, thus leaving Chamanyazi to manage the band singlehandedly. Chamanyazi and the Muvi Posse band are one of the very few contemporary live bands that Performs authentic Zambian music in a multi-dimensional, traditional and multi-directional way-from crossing the boundaries of western pop and jazz and continues beyond space and time. The Muvi Posse Band performs and explores various elements of African music such as Kalindula, Chitelele, Shonongo, manchacha, chingande, chimtali, Siomboka, Rhumba, Chimurenga, Kanindo, Kizomba, Hip hop, Reggae, Rock, Jazz, Kwaito and free form. Since inception in 1994, the band has sought opportunities for a wider, free expression of live band music. The Band’s musical inspirations include some of Zambia’s singing sensations like Late Alick Nkhata, Late P.K Chishala, Late Paul Ngozi, Late Mike Nyoni, Violet Kafula, Late Joyce Nyirongo, the WITCH band and the Musi-o-tunya band. The Muvi Posse Band finds performing and touring an opportunity to engage in dialogue with different people of the world and the mixture of cultures that contributes to the betterment of the earth. From 2003 to date, Chamanyazi has been managing this Band and helping other budding, upcoming and less privileged artists at his garage studios, through music lessons, recording studio and live band performances, as well as live band equipment assistance. He has also been in the fore front of bringing professional Arts management to the Zambian music industry as he sits on the Zambia Association of Musicians (ZAM) board were he saves as the General Secretary and the Zambian Music Copyright Protection Society (ZAMCOPS) Board as a committee member. Other successes Chamanyazi and the band have achieved include the Best Kalindula album of the year award 2014 at the Zambian Music Awards (Mosi Awards); the most conscious HIV and AIDS Artist 2008 and 2009 and best band of the year 2010 and 2011, (all of which were Ngoma Awards). Chamanyazi has been involved in several community awareness campaigns with the Government and Non-Governmental Organizations such as the fight against HIV and AIDS, Environmental protection awareness, Climate Change awareness, Malnutrition awareness campaign, Safe Motherhood awareness, Children’s rights awareness, voters’ education awareness, cervical cancer awareness, human rights awareness, Make Fair Trade and early childhood education awareness campaigns among others. M-Net? We u @? (Where you at) award for Most Talked about African Artist in 2000. Sounds Arcade Award for bestselling album in 2002. Ngoma Award for Best male artist 1998, 1999, 2000 and 2003. Ngoma Award Nominee in 1997, 2004 and 2006. Band leader of Muvi Posse band voted best band of the year 2010 at the Ngoma Awards Zambia, top most arts Awards. Ambassador for the 1000 day campaign by CSO-SUN an organization spear heading the eradication of malnutrition in Africa during the first critical one thousand days of a pregnant mother (that is from inception till the second birthday) 2013- Date.